Are you a personal blogger? Do you use WordPress? If yes, then this is probably one of the most amazing combinations. WordPress is a re-known platform for creating a website and use for personal blogging. WordPress has some stunning highlights due to which it has become the most preferred site for blogging. 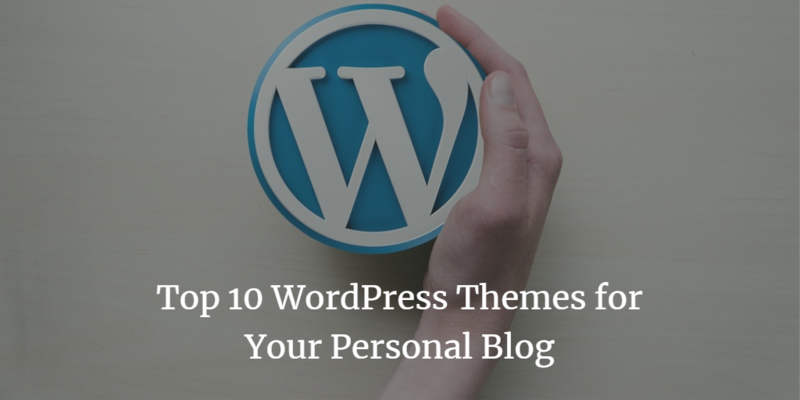 The best feature of the WordPress is that it offers the customizable themes that you can make use of and can create a website with your own choice. In case, you are not a professional website creator, then knowledge of the themes is important for you. WordPress offers both free and premium themes. 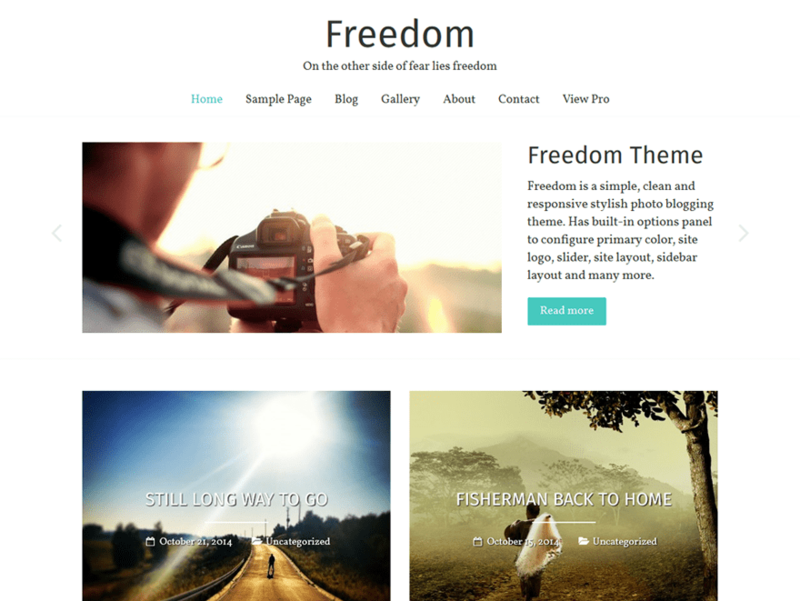 Here, have a look at top free WordPress themes for a personal blog. 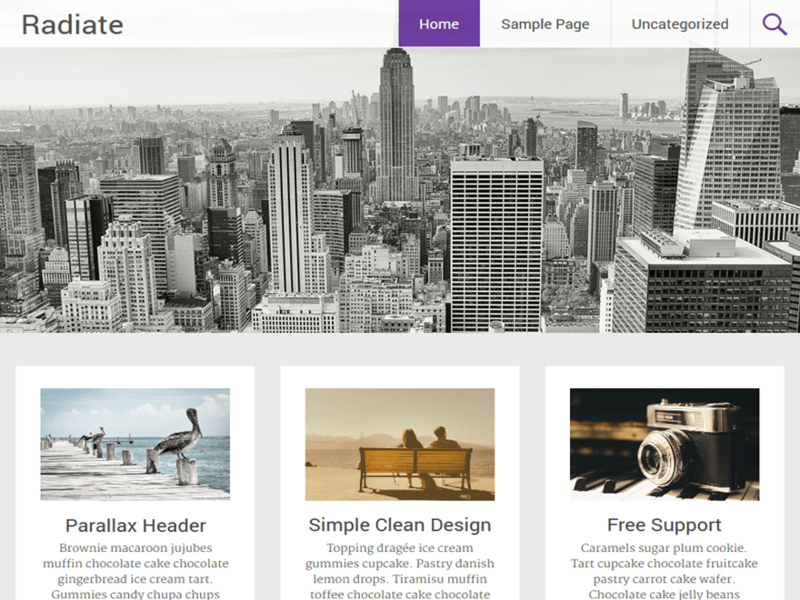 Radiate is the very first theme that WordPress offers for free. It has made intentionally with the purpose of personal blogging. Radiate is a perfect, innovative and consist of the light retina that is extremely responsive to blogging topics along with a parallax header picture. This cool header picture shows your blog with a pleasant picture. Also, the theme is easy to understand and super quick. 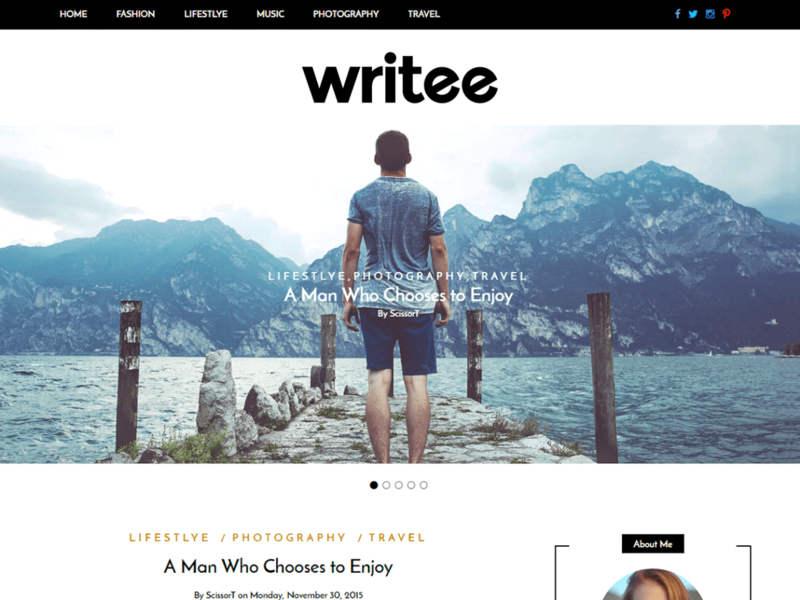 Writee is one of the most popular themes on WordPress. It is made especially for bloggers and is advanced for creative content. It is incorporated with many cool features that are its pixel-perfect graphics makes the picture beautiful with your blog. Also, it is very responsive and has a mobile-friendly design. Moreover, it is completely customizable with which you can customize almost all the features including headers, logos etc. If you are doing photography blogging or thinking to do it, then freedom is the best-suited theme for this type of blogging. It can absolutely be a perfect match for your portfolio or photography sites. Freedom theme is tied with in to featuring your photographs, enabling you to detail your photographs and include your emotions and visions that you want to depict in the picture. This theme can also be utilized for the normal blogs along with photography blog. 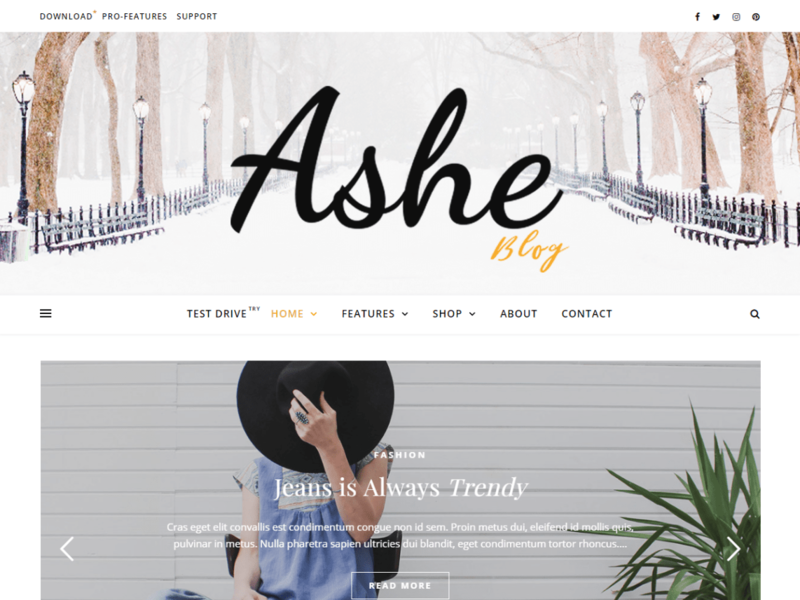 Ashe is a wonderful blogging theme of WordPress. It is completely fit for any type of blogging. It is extremely adaptable to all the type of blogging sites i.e. for your personal blogs to professional photography blogging. The theme enables an astonishing highlighted posts allowing changing it to a full-screen slider. It also consists of a multi-author theme with the help of which you can create attractive and stunning posts. 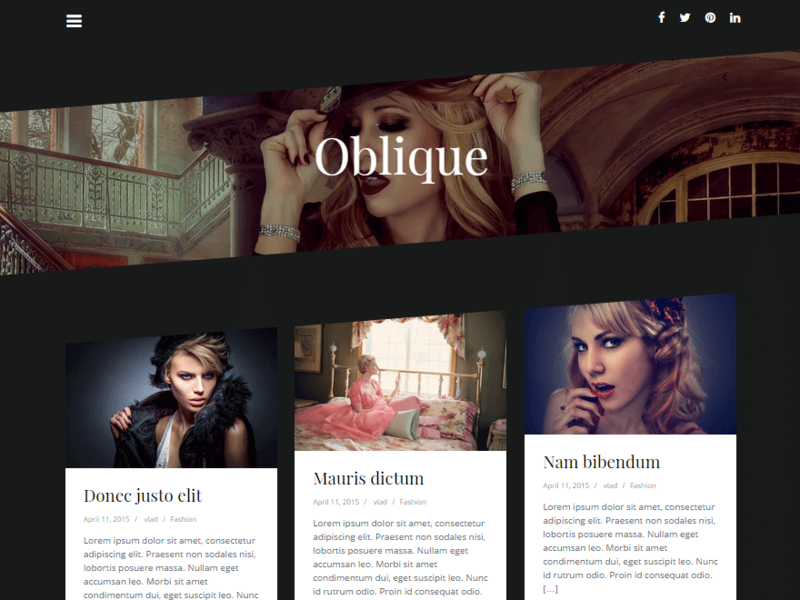 Oblique theme is made specifically for fashion blogging sites. The topic is remarkably planned that will enable you to make a stylish and expert blog. The theme allows customizing your elements and that too for nothing. You can edit a lot of things in your blog such as the typography can be altered. Great outline and flawless extents and separating will make your fashion blog more satisfactory and pleasant. 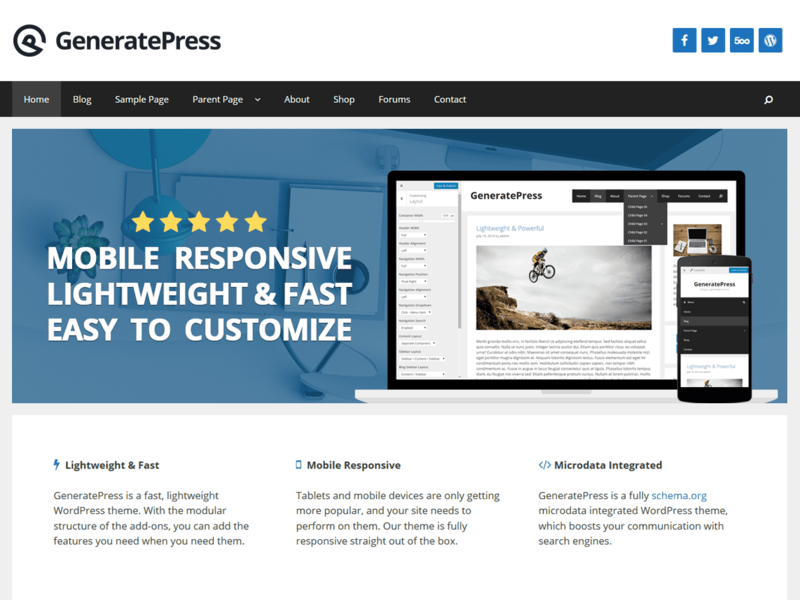 GeneratePress is one of the most enhanced and light weighted themes of WordPress that is intended to make for blogging purposes. The theme is profoundly compatible with most of the WordPress modules such as Woo Commerce, Buddy Press, and WPML. The theme is extremely secured and also highly SEO optimized. This can be one of the best choices you could make. This moderate WordPress theme, Activello, includes sensational designs and styles for your blogging site. The theme is made out of exceptionally useful gadgets and additionally, a wonderful full-screen slider worked for seeing your blogs and posts. This theme is also very compatible with mostly all the WordPress modules such as Woo Commerce, Gravity shapes, Jetpack, Yoast SEO, Contact Form 7. It also enhances the site ranking and content and also features your posts. 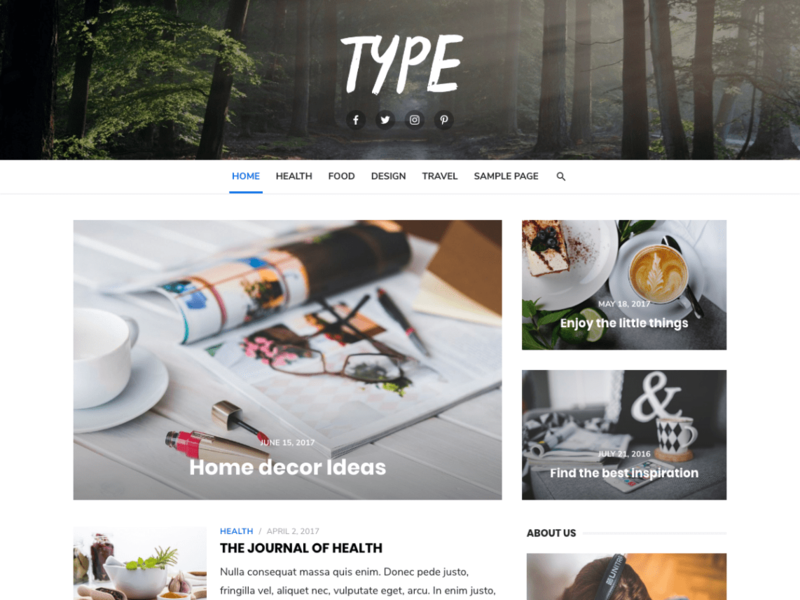 Type theme can effortlessly make proficient blogging sites, amazing portfolios and a free online magazine. Type theme is loaded with different personalization choices. It allows you to customize almost all the elements from a menu to logo and color themes. The theme is SEO optimized that allows header customizations and also highlighted pictures areas for your post. The exceptionally adaptable header has four different styles that are suited for different purposes. The theme is highly responsive and quick. Gist is a highly enhanced theme of WordPress that is suitable for blogging purpose. It is highly innovative furnishes with Google text styles, shading and textual style choices, typography highlights, custom gadgets. The features give different alternatives to enhance your blog and embellish your site beautifully. 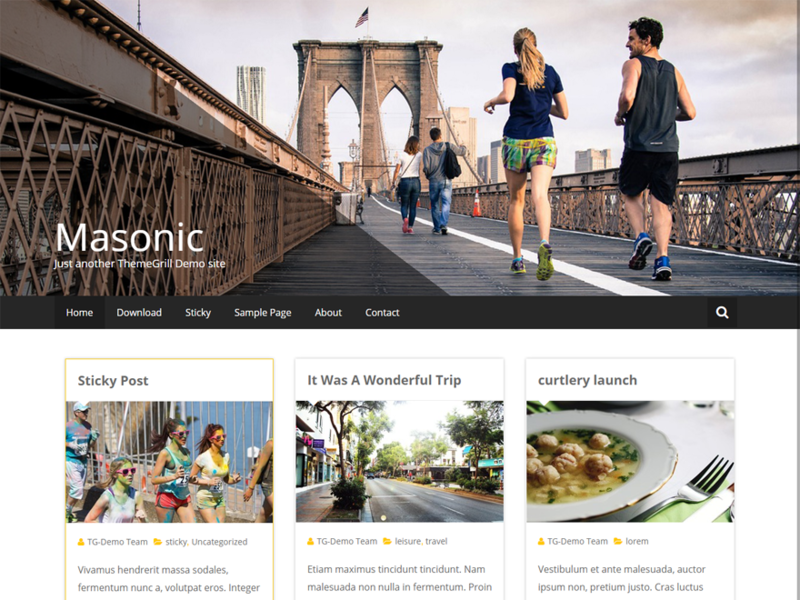 If you like to create a blog on Pinterest, then Masonic is a right theme style for your blogging. These supports header picture. The theme makes your blog post look pleasant so that it can attract the viewers on the page. It insists guest seek content on your blog immediately. Great collection of blog themes. I would like to share one more theme regarding personal blog which is Mine WordPress theme. This theme is specially designed for bloggers to share their experience to the world. It also has interesting features such as import demo content, social media support, translation ready, online documentation etc.